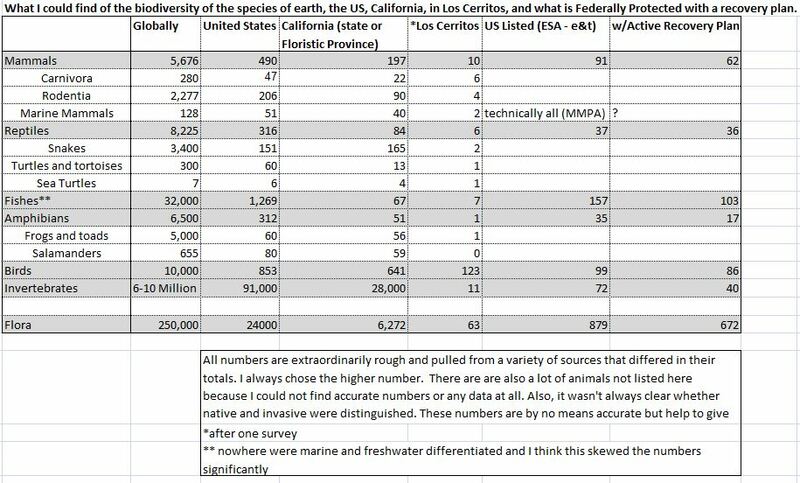 A short list of species that have been declared extinct is necessary to show our current state of affairs. The World Wildlife Fund is a great place to start for understanding the endangered species issue as well as the IUCN. 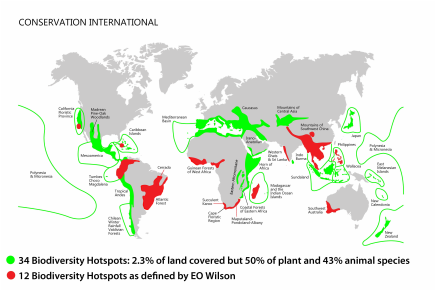 Hotspot Definition: those habitats that are both at the greatest risk and shelter the largest concentrations of species found nowhere else. I used to find it so simple but after a decade as a practitioner studying conservation, I find that it is difficult to understand extinction, biodiversity and how humans interact with that world. For some reasons there are answers that elude us and the system controlling the global interaction of ecosystems is not intuitive to us yet. The sites that I regularly visit below have helped me understand these questions and topics. The wikipedia explanation of SES is pretty comprehensive and I am looking forward to exploring more theorists' work: Socio-Ecological System Theory. In the meantime, some of the particulars of Complexity Theory, Nonlinearity, Emergence, and Resilience and how they relate to Adaptive Governance and Sustainable Development are what I am drawn to. As I understand it, SES is a paradigmatic shift in managing natural resources in concert with human needs. Beyond just ensuring both proceed harmoniously, the two interact and benefit the other in concert with each other. Much like Veta La Palma in Dan Barber's talk above, SES is making sure the wetlands flourish while we extract delicious fish, sustainably and resiliently, from them. Is there a formal SES equation that I can apply to a given piece of land to see if it meets certain criterion? Does SES apply equally well to marine and terrestrial environments? How does SES apply to the Kardashev scale of human civilization? Or, can I use SES to help transcend the Infinity barrier that David Deutsch sets out? Does SES work within an urban setting as well as it does with a remote wilderness? Are there practical and pragmatic SES techniques that could be useful for conservation land (or MPA) managers? Considering that I just found the vocabulary to explain this concept, this phenomenon, this new paradigm of understanding land management, I don't know the answers to these questions. I'm excited to find out though.